Kuopio is a city and a municipality located in the region of Northern Savonia, Finland. Eschew the tourist crowds and head to Kuopio Market City Hall and Vainolanniemi. Get out of town with these interesting Kuopio side-trips: Leppavirta (Leppavirta Church & Orinoro Gorge), Riuttala Farmhouse Museum (in Karttula) and Venajanhiekka (in Rautavaara). 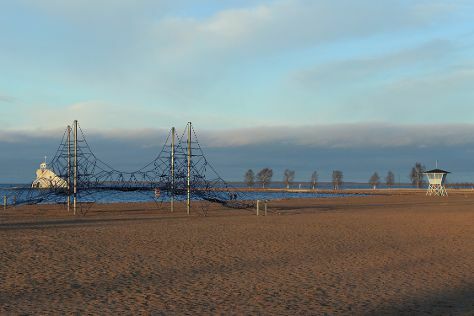 Next up on the itinerary: explore the activities along Valkeisenlampi, enjoy breathtaking views from Puijo Tower, and admire the majestic nature at Snellman Park. For maps, other places to visit, photos, and other tourist information, go to the Kuopio road trip website . Venice, Italy to Kuopio is an approximately 14-hour flight. You can also drive. Due to the time zone difference, you'll lose 1 hour traveling from Venice to Kuopio. In August, Kuopio is a bit cooler than Venice - with highs of 22°C and lows of 14°C. Finish your sightseeing early on the 11th (Sun) to allow enough time to travel to Kuhmo. Kuhmo is a town and a municipality in Finland and is located at the south-eastern corner of the Kainuu region. Start off your visit on the 12th (Mon): identify plant and animal life at Wild Taiga and then look for all kinds of wild species at Boreal Wildlife Centre. For more things to do, traveler tips, reviews, and more tourist information, use the Kuhmo trip app . Getting from Kuopio to Kuhmo by car takes about 3 hours. Cap off your sightseeing on the 12th (Mon) early enough to travel to Kuusamo. Kuusamo is a town and municipality in Finland. Discover out-of-the-way places like Karhunkierros and Korouoma Canyon. Step out of Kuusamo to go to Juuma and see Pieni Karhunkierros Trail, which is approximately 38 minutes away. There's still lots to do: identify plant and animal life at Wildlife Areas, stop by Shopping Center Kumpare, take in breathtaking views at Julma Olkky, and take in the dramatic scenery at Kiutakongas Rapids. For reviews and more tourist information, use the Kuusamo road trip planner . You can drive from Kuhmo to Kuusamo in 3.5 hours. In August, plan for daily highs up to 20°C, and evening lows to 10°C. Finish your sightseeing early on the 15th (Thu) to allow enough time to drive to Oulu. Oulu is a city and municipality of inhabitants in the region of Northern Ostrobothnia, Finland. Start off your visit on the 16th (Fri): browse the eclectic array of goods at Kauppahalli, then shop like a local with Pohjoisen Valokuvakeskus, then identify plant and animal life at Hupisaaret Park, and finally kick back and relax at Nallikari Beach. Keep things going the next day: admire the landmark architecture of Oulu Climbing Centre, enjoy some diversion at Tietomaa, and then stroll through Ainolan Puisto. To find ratings, reviews, maps, and tourist information, read Oulu trip planner. Traveling by car from Kuusamo to Oulu takes 3.5 hours. Alternatively, you can do a combination of bus and train; or take a bus. In August in Oulu, expect temperatures between 22°C during the day and 12°C at night. Cap off your sightseeing on the 17th (Sat) early enough to catch the train to Rovaniemi. Step off the beaten path and head to Pyha-Luosto National Park and Feelapland. Step out of Rovaniemi with an excursion to Kopara Reindeer Park in Luosto--about 1h 35 min away. The adventure continues: get in on the family fun at Santa Claus Village, explore the different monuments and memorials at German Soldier s Cemetery, admire the sheer force of Auttikongas, and look for gifts at Your Piece Of Finland. 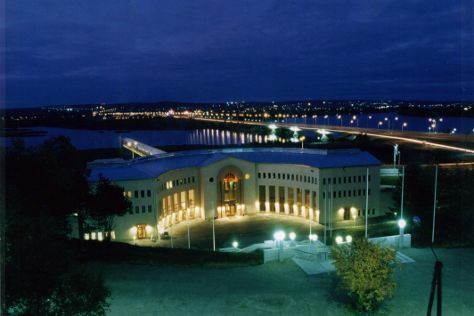 To see photos, maps, and tourist information, read Rovaniemi trip itinerary tool . Getting from Oulu to Rovaniemi by train takes about 2.5 hours. Other options: take a bus; or drive. Expect a daytime high around 20°C in August, and nighttime lows around 11°C. Wrap up your sightseeing on the 22nd (Thu) early enough to travel back home.